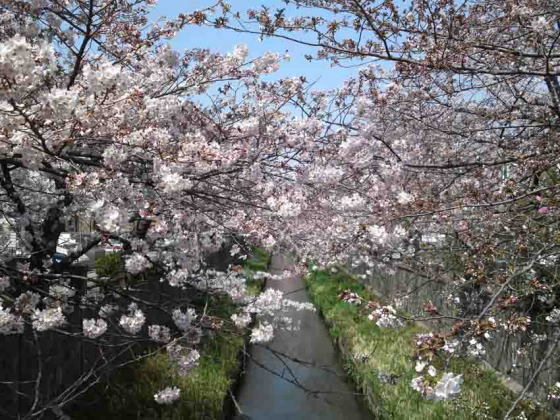 Mamagawa River is famous for many cherry trees planted along it and people living in Ichikawa love to walk along it and to see the cherry blossoms in spring. 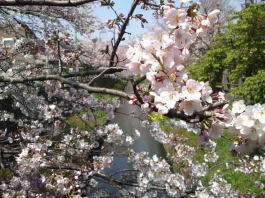 Especially, from the Route 14th near the fire department to Showa Gakuin, many cherry trees are planted, and several thousands of people come and walk along the river to see the cherry blossoms. 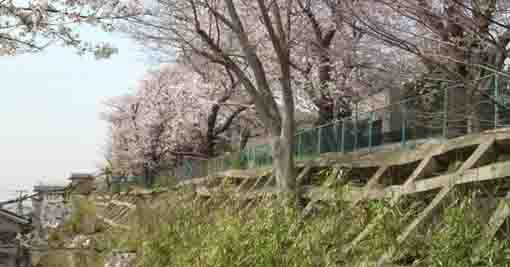 And there are many cherry trees planted on the other places along the river and the neighbors enjoy seeing them. 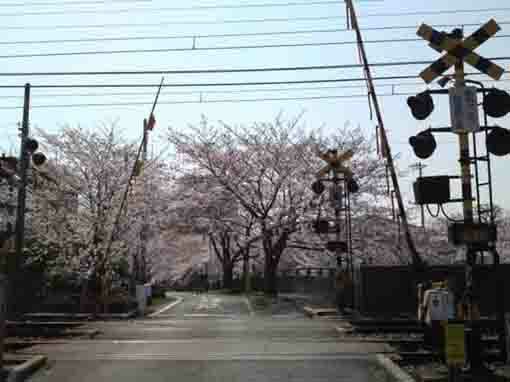 Moreover, there are several special Sakura spots along Mamagawa River. 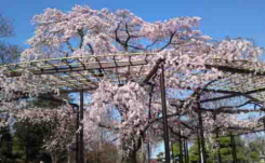 Tekona Reishindo Hall and Mamasan Guhoji Temple, Suwada Park, Ukishima Benzaiten Shrine and Sakura Dote Park, Shirahata Jinja Shrine, Oogashiwagawa River, Colton Plaza and Barakisan Myogyoji Temple are all famous for having some beautiful cherry trees in their site. 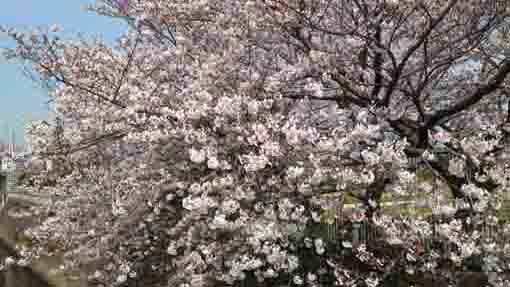 And visitors could see many pear blossoms in some pear gardens along it. In fall, many red spider lilies blooms on the bank of Mamagawa River. Mamagawa River is very exciting place to walk along. Why don't you visit it? The size of Mama-gawa River's catchment is about 65.6 square meters, over a million people live along the river, so it is deeply related to their lives since long time ago. The Mama-gawa River appears in 'Manyo-shu', the Collection Of Ten Thousand Leaves, so it appears such as 'Mama-no-irie' (the cove at Mama) in the legend of Tekona (the story of the beautiful girl in ancient ages). There are some wonderful spots along the Mama-gawa River, Tekona-Reido Hall, Gubo-ji Temple, Colton Plaza of the shopping mole and Myoko-ji Temple are famous. And the Ichikawa Citizen Swimming Pool is along the Ogashiwa-gawa River. 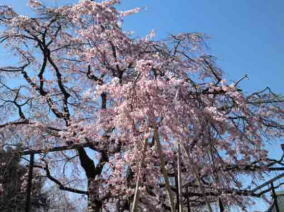 Over several hundreds of cherry trees are planted to cultivated along the river, therefore thousands of visitors come while cherry blossoms are blooming. The name 'Mama-gawa' might be a corruption of 'Meme' in the ancient eastern Japanese language. 'Meme' means collapsed land. 'Mama' means a dip, a cove, a slope, a cliff and a point of land where bank collapsed, its meaning is very similar to the meaning of 'Meme'. Therefore, there are many places having the word 'Mama' in their names throughout Japan. The Mama-gawa River has a great accessibility from both Narita and Haneda International Airport. From Narita International Airport, take Keisei-line and get off Keisei-Onigoe Sta, take minimally 45 minutes from Narita Airport. And also take JR Sobu-express line, transfer the line at Funabashi to Keisei-line, get off Keisei-Onigoe Sta. From Haneda International Airport, take Keikyu-line bound to Narita, and get off Keisei-Onigoe Sta. Take 2 minute walk from Keisei-Onigoe Sta. 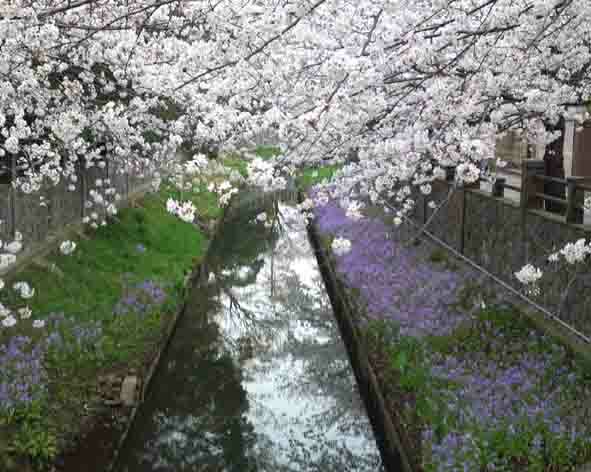 Mamagawa River flows in the central part of Ichikawa-shi from the west to the south-east. 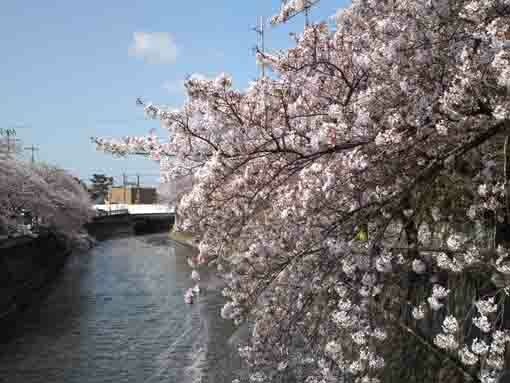 There are several hunderds of cherry trees alon the Mama-gawa River. 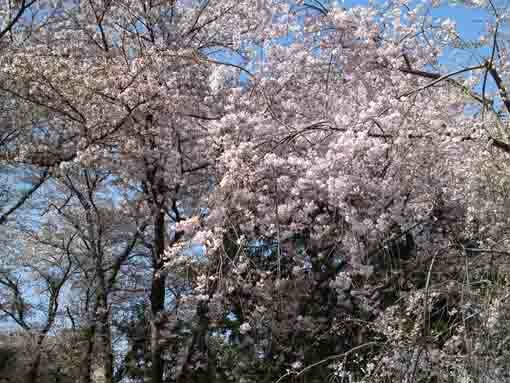 Every year thousands of visitors come while cherry blossoms are blooming. Nikke Colton Plaza and some landmarks around it are attractive and exciting to walk on. There are many trees and seasonal flowers around the area. 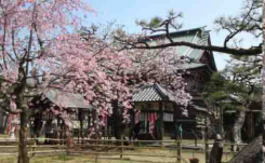 Myogyo-ji Temple was built in 1538, beautiful blossoms of its drooping cherry tree in its garden and skillful sculptures on its temple gate are very famous. Tekona, the subject of many poems in the Anthology of a Myriad Leaves, Mamasan temple connects with the Gyoki, Kobo and Issa Kobayashi. 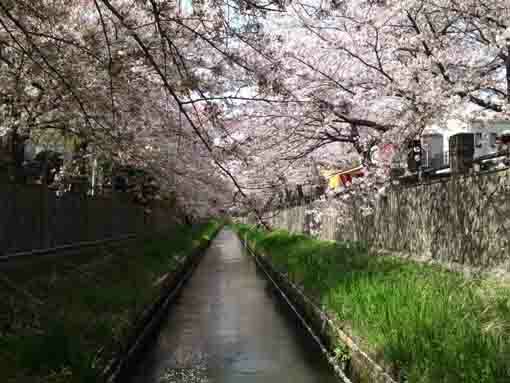 Very beautiful cherry blossoms along the approach way on the cliff.